The ShortCut started as a NextStep, which we chopped 4" off the nose, blending in a nice forward wide-point outline for drive, lowered the entry rocker for good paddling and speed, and left a bit of thickness through the front for flotation. We also widened up the tail a touch and kept it nice and round so it has a lively feel to it. You end up with a fast, steady feeling board, but the shorter sizes allow you to draw tight arcs and change your line in the barrel easily. The solid paddle power lets you get in early, and it will drive down the line. It's especially fast as a quad. 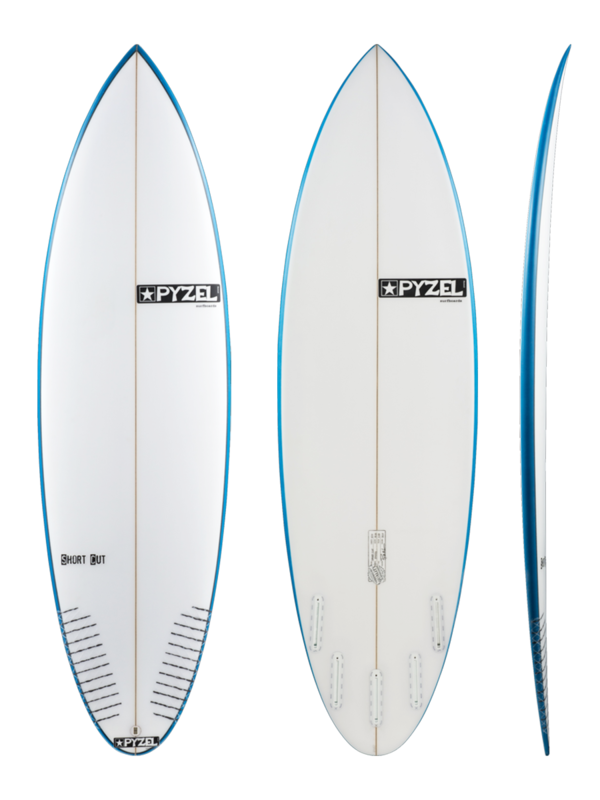 A very versatile board that will surprise you in bigger waves, works well in all kinds of waves and for all levels of surfer. Get the 5-fin for max fun.